The E-Z Cut 3D portable oxy-fuel cutting machine can cut in versus angle and shapes. From flat to curved and shaped surfaces, including channel, pipes and vessels, shipbuilding, plate and angled steel. The E-Z Cut 3D portable oxy-fuel cutting machine is very compact and light, easy to handle and transport, making it ideal for ship, vessel, dome and tank/building or repair. Cuts flat, bended, or twisted steel plates in all positions and directions. Secures rail to plate; allows the rail to be used vertically. 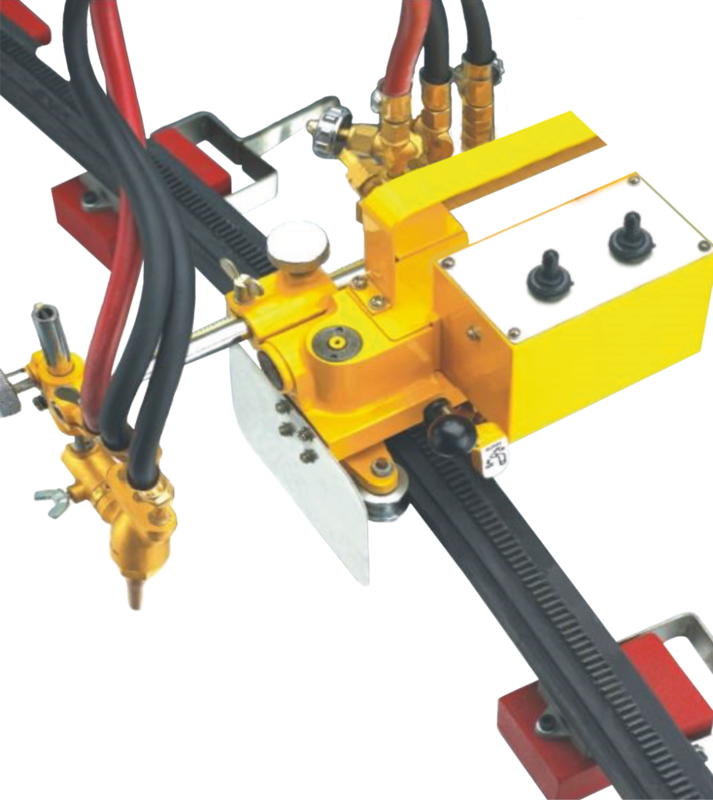 Allows quick positioning of machine on rail. Only 4.5kg and compact; machine can be carried easily to anywhere. Ideal for making straight and curved cuts in 1, 2 and 3D. 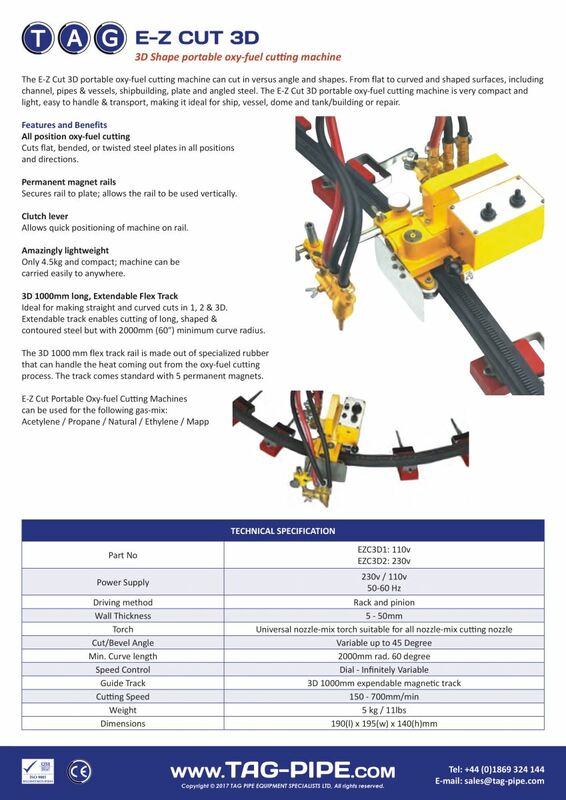 Extendable track enables cutting of long, shaped and contoured steel but with 1500 (60") - 2000mm (80") minimum curve radius. The 3D 1000 mm flex track rail is made out of specialized rubber that can handle the heat coming out from the oxy-fuel cutting process. The track comes standard with 5 permanent magnets.